Who would have guessed that four minutes could change everything? Imagine if she hadn't forgotten the book. Or if there hadn't been traffic on the expressway. Or if she hadn't fumbled the coins for the toll. What if she'd run just that little bit faster and caught the flight she was supposed to be on. Would it have been something else - the weather over the Atlantic or a fault with the plane? 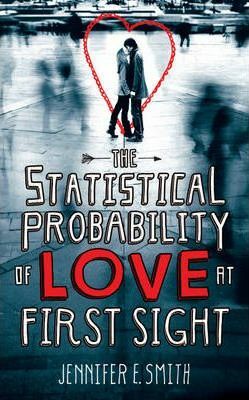 Hadley isn't sure if she believes in destiny or fate but, on what is potentially the worst day of each of their lives, it's the quirks of timing and chance events that mean Hadley meets Oliver...Set over a 24-hour-period, Hadley and Oliver's story will make you believe that true love finds you when you're least expecting it. Jennifer E. Smith grew up outside of Chicago and graduated from Colgate University. She earned her master's in creative writing from the University of St. Andrews in Scotland, and currently lives in New York City. Smith is an editor at Random House, and she previously worked at ICM.